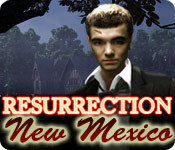 Resurrection, New Mexico is rated 4.1 out of 5 by 72. Rated 5 out of 5 by Lucy110404 from Hooked from the beginning, bought it immediately This game is a kind of gem for me, because about 90 per cent of all games have this medieval or fantasy playground, which meanwhile bores me to death. Although some of them are great, I prefer the more realistic and nowadays settings. So if you liked the "Vanishing Hitchhiker" oder "Infected" or the "Ghosts of Marple Creek", this game might please you as well. 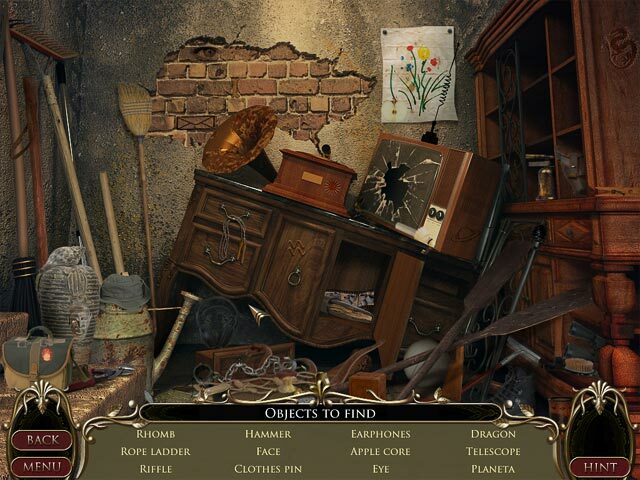 I do not need Hidden Object Scenes and found them quite difficult in this game, had to put my glasses off and position my head/eyes directly in front of the screen. But the atmosphere of the game was so great and really reminded me of the above mentioned games, which I like most. Gameplay and hint system are smooth enough. I would recommend to test it, because it's all about atmosphere. Rated 5 out of 5 by bluebell27 from Wonderful game This was a really well thought out game with an interesting story line. Kept my interest to the very end. Usually I just wish the games would end already, but this was different. Pleasant music, everything tying into the story. And it had a satisfying ending that made sense. Very enjoyable! Rated 5 out of 5 by oc92652 from Great Storyline! I've never felt compelled to rate a game until I finished this. There is some going back and forth, but not as confusing as some, which takes all of the fun out of a game when you have to concentrate that much. Just a really fun and interesting game. Once you begin, you don't want to stop, nor do you want it to end anytime soon. Rated 5 out of 5 by aleta59 from Short, but awesome Great storyline. Graphics beautiful, nice music, no VOS, but good characters. HOS mostly clear, a lot of them, non-interactive. Good mini games. Task list, and cell phone messages. Over way too soon, not quite 4 hours. Cursor quickly moves to next scene, and hint button fills quickly. Very enjoyable, exciting game with a good ending and some delicious spooky moments. Rated 5 out of 5 by orijojo from Absolutely a 5 star quality game. I couldn't fault this game. It captured my interest right from the get go. A superb Adventure/Hog. The storyline was not only very good but it played out cohesively throughout the game. The hint system was informative without trying to play the game for you, there wasn't an over abundance of HOG scenes, the puzzles were sensible and relative to the task at hand, and there is a very helpful journal which list the tasks to be accomplished for each character. MEDIA ART is not a developer I'm familar with, but am now very impressed with, I will now look for other games from this developer. I cannot recommend this game enough. Rated 5 out of 5 by mek509 from Really good game The music and storeyline were excellent. The game is quite challenging but the hint button renews quickly so you're not stuck. Some of the HOs were hard to find even with the hint and I thought I had to run around the entire town too much, but there are chapters in the journal that could have elimiated a lot of it if I had used it. Rated 5 out of 5 by PattieKski from WOW! 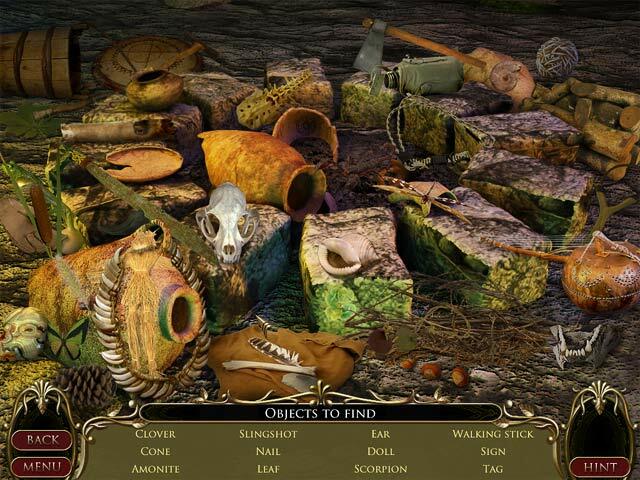 Its like your there If anyone likes mysteries I had a real HARD time to stop playing because of my job I give it a 10!!! Rated 5 out of 5 by Fifiluna614 from Great Fun! I really enjoyed this game. The story is intriguing, graphics are excellent, & the puzzles are challenging without being impossible. Music is monotonous, but I turn that off anyway. The flow of the game is very good, but if you get stuck the hint button tells you where to go next. 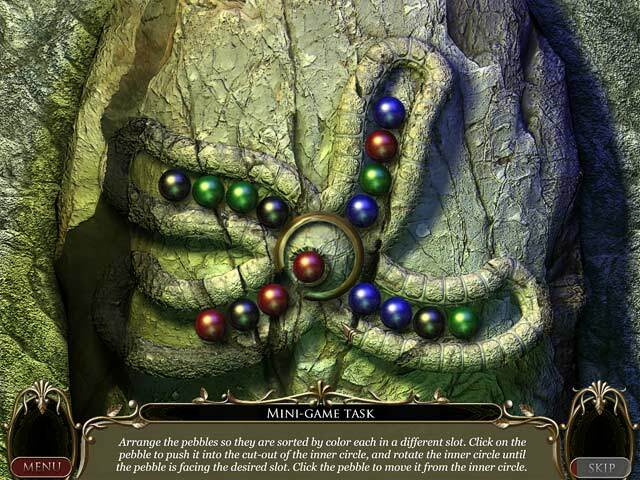 My only quibble is some of the hidden object scenes are blurry, which means you cannot spot items that are the same color as the background. They aren't all like that - some are very clear - but the blurry ones are irritating & frustrating. But the overall game is so good, I highly recommend it. Rated 5 out of 5 by bwittn from Interesting Story Line! I liked that the story line was totally different. Great game!